If you’re looking for an out-of-the-box shopping experience this weekend, you’re in luck. This Sunday, August 20, you can shop a wide range of vintage items at Chicago’s seasonal Vintage Garage Flea Market. This Chicago event occurs only once a month (the third Sunday of each) between May and September, with one additional show celebrating vintage holiday decor in November. Each occurrence celebrates a specific theme, with this month’s showcasing all things “Vintage Wedding”. While many of the vendors within the market will spotlight items pertaining to this theme, many of them will simply be selling a myriad of vintage goodies, so even if you’re not in the market for wedding-appropriate items, it’s still worth browsing. We attended the event last month, where the theme was “Rockabilly & Vintage Clothing”. There was no shortage of items beyond clothes for sale, though, as there were books, records, art work, housewares, children’s toys, typewriters, telephones, and many other fun retro items to be snagged. From vintage pottery to retro cocktail shakers to old magazine advertisements, there were endless items to look at, and there are also interesting people to be met along the way! It’s always fun to add some vintage flair to your home or wardrobe or even to find the perfect gift for someone who loves all things retro. Even if you’re not planning to buy anything, it’s fun to walk around this event as it’s full of interesting artifacts and nostalgia. Visit the Vintage Garage Chicago event this Sunday, located in Uptown at 5051 North Broadway. Doors open at 10am and close at 5pm. Tickets are $5 and can be purchased in advance online or at the door (in cash). Be sure to bring cash if you’re planning to visit, as many vendors at last month’s event did not accept credit cards. Conveniently, street parking near the event is free or there is complimentary parking in a lot located at Lawrence and North Broadway. Alternatively, take the Red Line to Argyle to get to the show. Remember, this event is literally held in a parking garage, so if it’s windy or chilly, dress for the occasion! For a sneak peek of this week’s haul and to see what items they’ve showcased in flea markets past, check out their Facebook and Instagram pages! 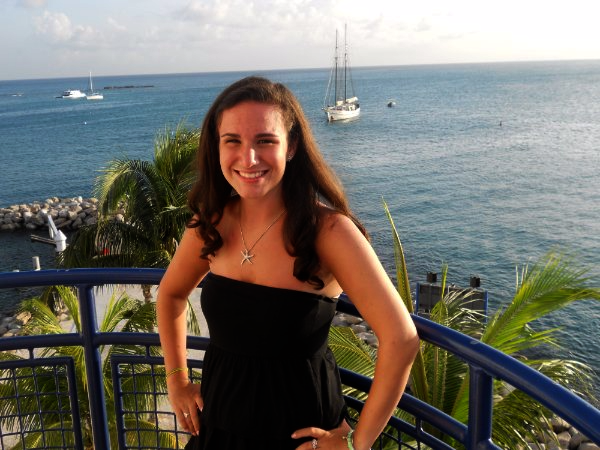 Sara is a New England native that moved to Chicago two years ago and never looked back! She’s always enjoyed writing and does freelance work for a wide range of sites, including a personal blog, a DIY site, yoga blogs, and a human resources company. Sara loves all things creative and is an avid reader. In her spare time, you can find Sara shopping, crafting, spending time with family and friends, enjoying a beach, cooking and baking, or indulging in a mani/pedi. She’d love to hear from you at the email address listed below for article ideas and feedback, suggestions to add to her to be read list, or anything in between!